Development is going great! I'm on track to get the basics of the overworld roaming finished by the end of Spring Break. That means I'll have a little island to roam and get into battles on. Battles that actually calculate things based on my party's data, thanks to all the coding done this week. 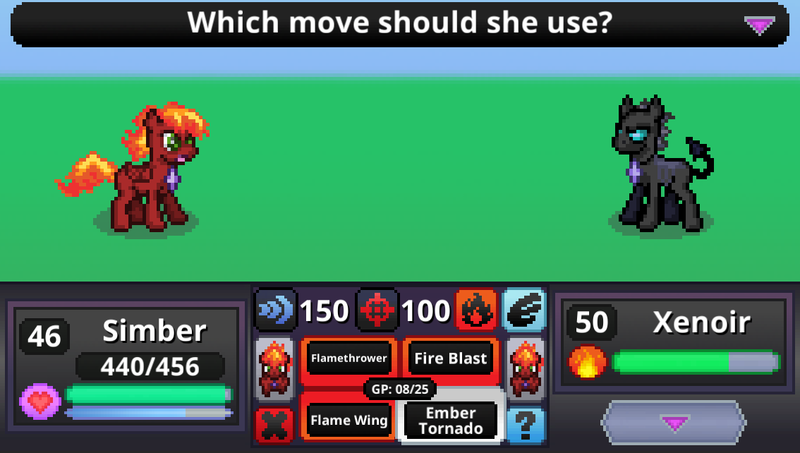 Once this demo island is playable I'll get started on adding a few more moves and polishing the battle scene. You can find the usual status report information below the break. 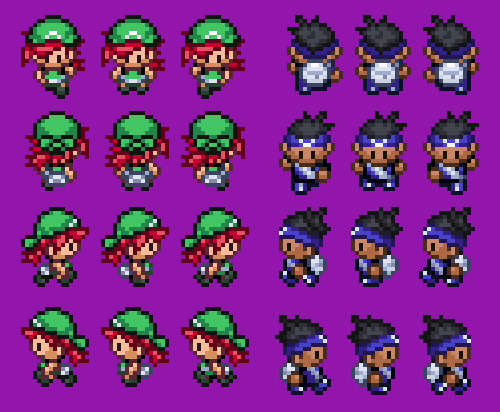 With these sprites done I can start working on the overworld gameplay. Getting the code behind all this was my favorite part of the week. to the overworld scene I have yet to build. I need tangibility as much as my followers do. Seeing my game come together excites me more than anything. A new appreciation for all the development time I had over the summer. I need it back. 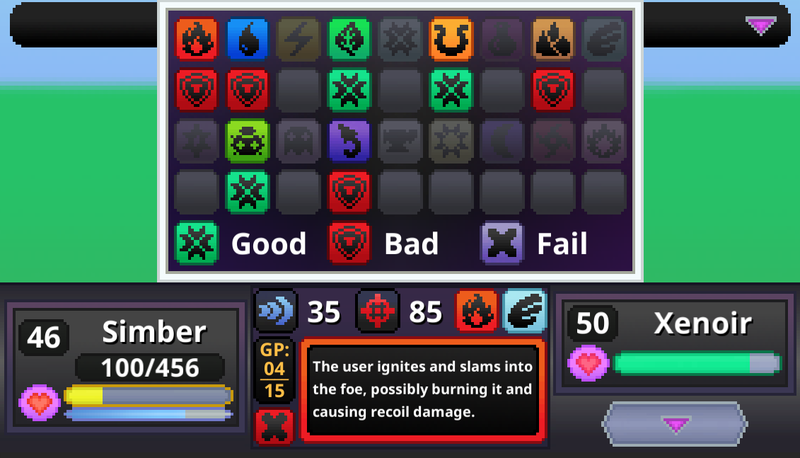 Having the upper hand in class memorization is an important metagame advantage in PvP so I'll only have the match-up chart visible in single player adventure mode. The game is lookin' good! With the overworld stuff done it'll feel more tangible than ever. Starting from a simple base and growing was a good way to go. I can always switch things up if I ever start to get burned out and renew my excitement. 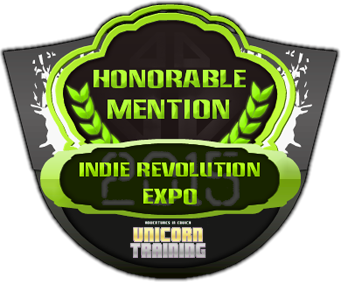 Sales of Unicorn Training are still at a crawling pace as it passed it's time in the spotlight. I'll try my hardest to make sure the same doesn't happen with Battle Gem Ponies 5 months in. There should be a way to keep excitement up year-round alongside a top quality game with tons of replay value. Just getting started on the overworld stuff. Mostly copy/paste from Dragon Souls. I'm messing with TileMaps and HUD sizes for the overworld as I'm typing this and should have basic grid-based movement up and running by tomorrow night. The game is feeling more feasible with every major feature that gets done so I'm getting the big stuff out of the way as quickly as I can. Most of this game's development should be spent in the playtesting phases so I want to get a simple pre-alpha out there by the time I'm out for summer vacation. The game is set to come out in about 9 months so there's a lot of hustle going on here at Yotes Games. I can't wait to put something playable in your hands so you can tell me what you think!